Bookstore Hours: 10am-6pm daily, except Fri. & Sat. Elain Publishing House was founded by Fatma Elboudy in 2000. Originally focused largely on scientific publications, the house has since shifted its focus and publishes an impressive selection of literary, academic, and non-fiction titles. Elboudy is very active in the publishing world, both as publisher and an advocate for writers and authors. Elain seems to be growing and prospering and has published writers from all over the Arab world, especially Egyptian and Gulf writers. Their list includes several prize-winners and International Prize for Arabic Fiction (IPAF) nominees, including Khaled al-Berry, Ibrahim Farghali, Mansoura Ezz El Din, Yousef Rakha, and Khalid Khalifa, among others. In addition to the range of short stories, poetry, and novels they publish, they have a strong non-fiction list which includes translated titles. Elain holds cultural salons and book signings at its bookstore and, indeed, sees itself as an important link between readers and authors, providing a physical space for them to meet, as well. Entryway to building where Elain is located. You can see their small logo to the right of the door. Relocated to their new address Downtown, you can find the bookstore on the third floor of 4 Behler Passage (Memar Behler) off Talat Harb Street near Talat Harb Square. Ring the doorbell and someone will let you in to the spacious entry hall and one spacious room lined with shelves filled with books. Offices appear to be further back. They currently sell only Elain publications with the exception of certain literary journals, located in the entry area. Follow Elain in the newspapers or on Facebook—they often have announcements for book signings and discussions at their store. While Elain has a working webpage (at time of writing), their Facebook page is much more up to date and contains information about upcoming and recent events. 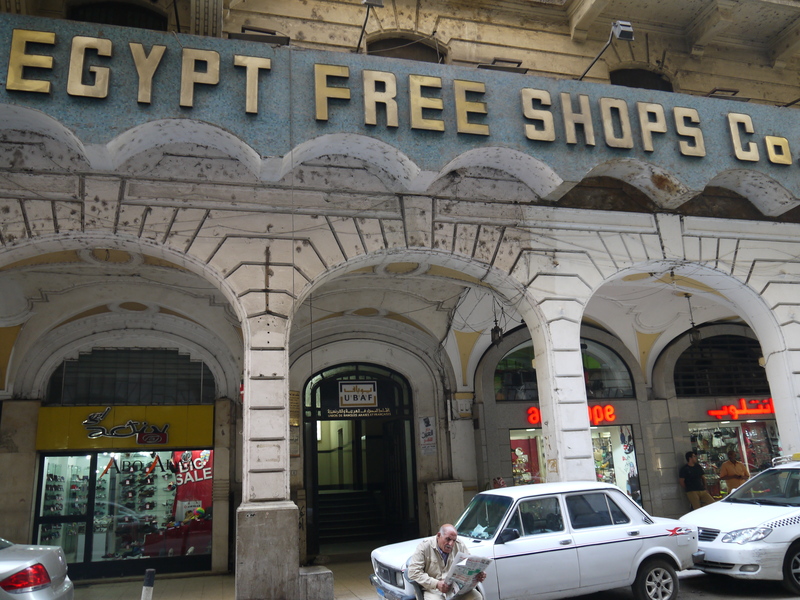 One can also usually find their books at other downtown bookstores such as Afaq, Omar Bookstore, al-Balad, and Madbouly, and at Diwan, among others.